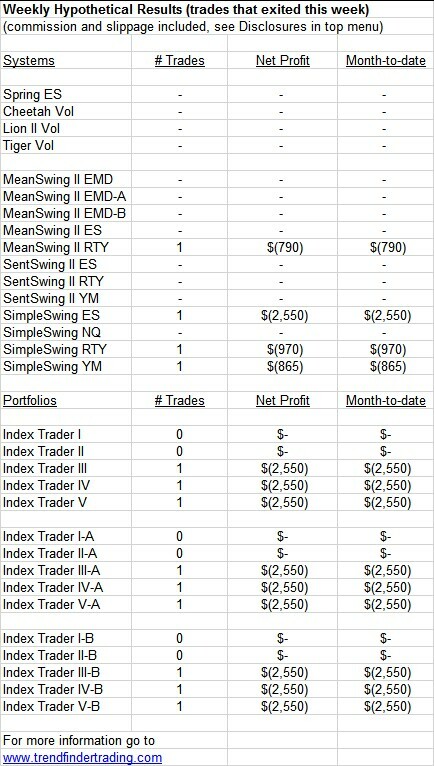 Some swing systems exited short trades this week. All systems are now flat. Going forward the new adaptive swing systems will be used (FedSwingWF, MeanSwing3 and SimpleSwing2). I am almost finished updating the website and sending code and charts to brokers. This should be completed today (will finish this weekend if not).